Free Shipping Included! Ubiquiti LOCO5 5GHz CPE Outdoor 802.11a by Ubiquiti at AABX. MPN: LOCO5. Hurry! Limited time offer. Offer valid only while supplies last. 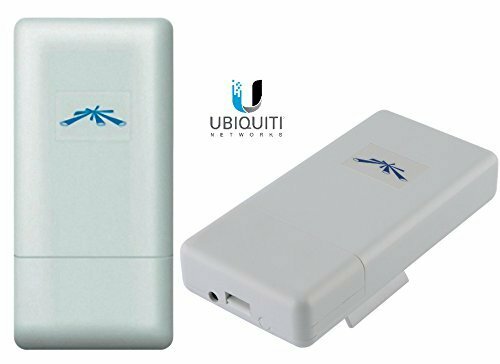 UBIQUITI NANOSTATION LOCO5 WIRELESS CPE OUTDOOR 13DBI DUAL-POL 802.11aNanoStation Loco provides a breakthrough in cost, reliability, performance. NanoStation Loco provides a breakthrough in cost, reliability, performance. Features up to 10km of range performance, 25+Mbps of throughput performance, & the powerful, intuitive AirOS by Ubiquiti. NanoStation Loco is the latest innovation in broadband wireless CPE technology from Ubiquiti. POE power supply injector included. If you have any questions about this product by Ubiquiti, contact us by completing and submitting the form below. If you are looking for a specif part number, please include it with your message.